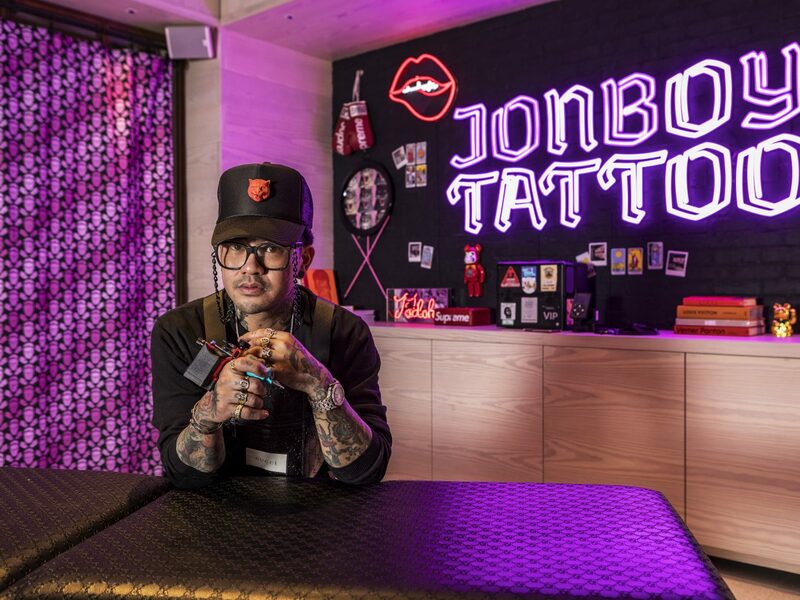 Celebrity tattoo artist JonBoy has officially moved in to the Times Square hotspot. 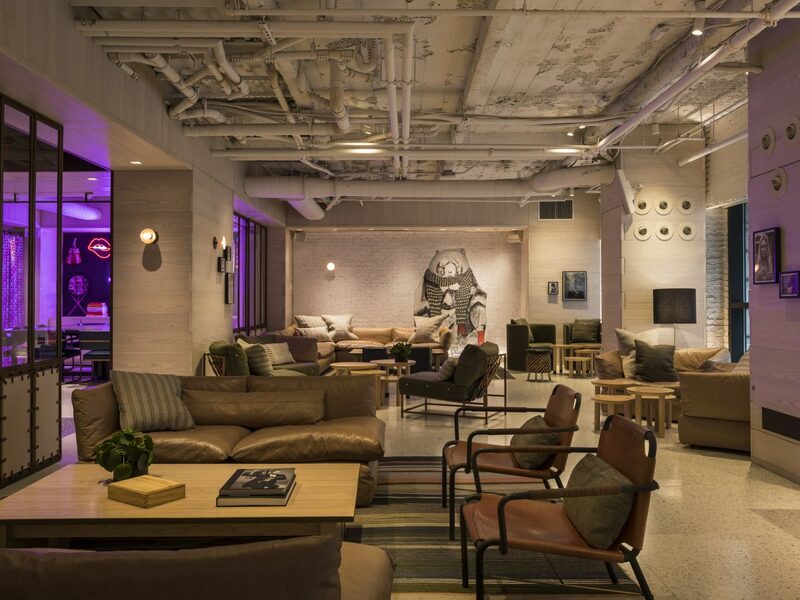 Step inside the second-floor bar at the Moxy Times Square, Midtown’s most millennial-minded hotel, and you’ll notice an abundance of neutral colors, light wood, and leather details…the picture-perfect luxe-minimalist space. 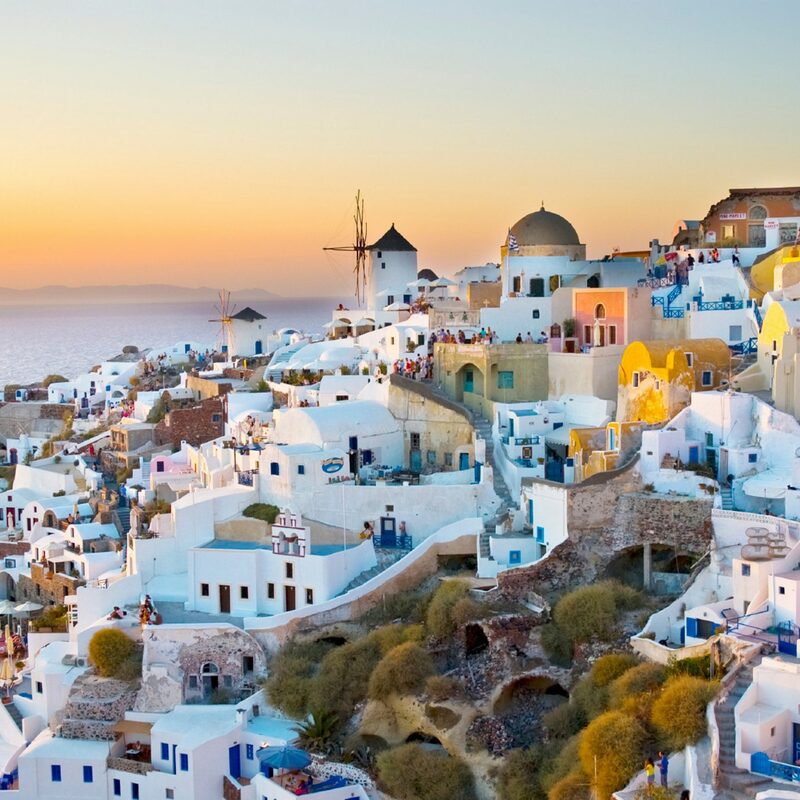 But then you’ll spot an unfamiliar glow—a buzzy neon purple hue leaking out from a room on the side. That new lit-up corner? It’s officially the exclusive home to today’s hottest celebrity tattoo artist, JonBoy, who relocated to the hotel yesterday. If you don’t recognize him by name, you’ll recognize him by his signature small-scale designs — you’ve seen his tiny tats on the likes of Kendall and Kylie Jenner, Travis Scott, Halsey, Justin Bieber, and all the other A-listers covering his Instagram, which is followed by over 635k fans. 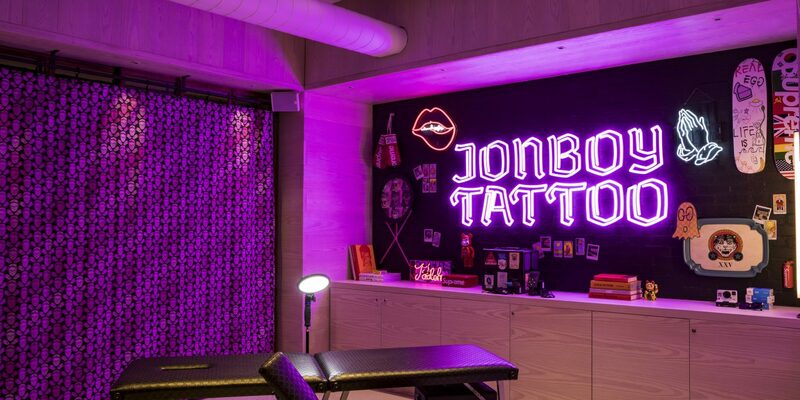 Previously based out of the West Village, JonBoy said he made the decision to move to the Moxy because of his interest in hotels and hotspots in the city, having visited the Moxy several times over the years for one-off appointments. Now, you can make an appointment to get your own piece of minimalist body art in his highly-photogenic new studio, complete with his recognizable Gucci tattoo table and a curtain backdrop donning illustrations of his face. Open every Tuesday through Saturday from 3-9 p.m., the shop will give priority access for reservation bookings to guests of the hotel, with tattoos starting at $1,000. Can’t wait for an appointment? To celebrate the shop opening, JonBoy will be hosting first come, first serve walk-in appointments only on Saturday, February 23, 3-9 p.m. The best part? After the ink, you don’t even have to leave the building to continue the fun. 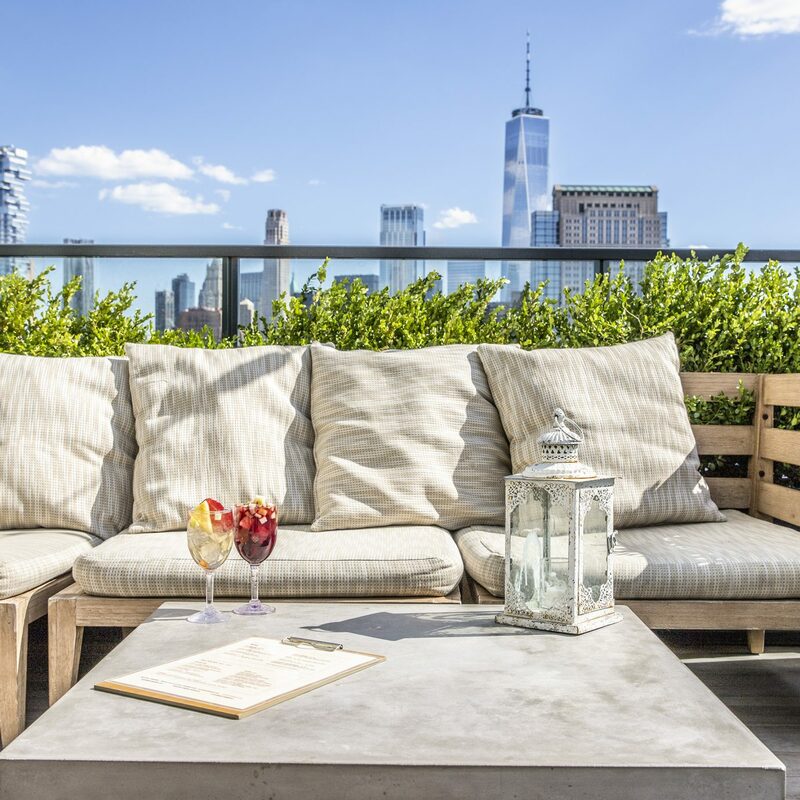 The Moxy’s extravagant rooftop bar, Magic Hour, is the biggest in the city, and the hotel’s restaurants, including seafood brasserie Legasea, are top-notch. 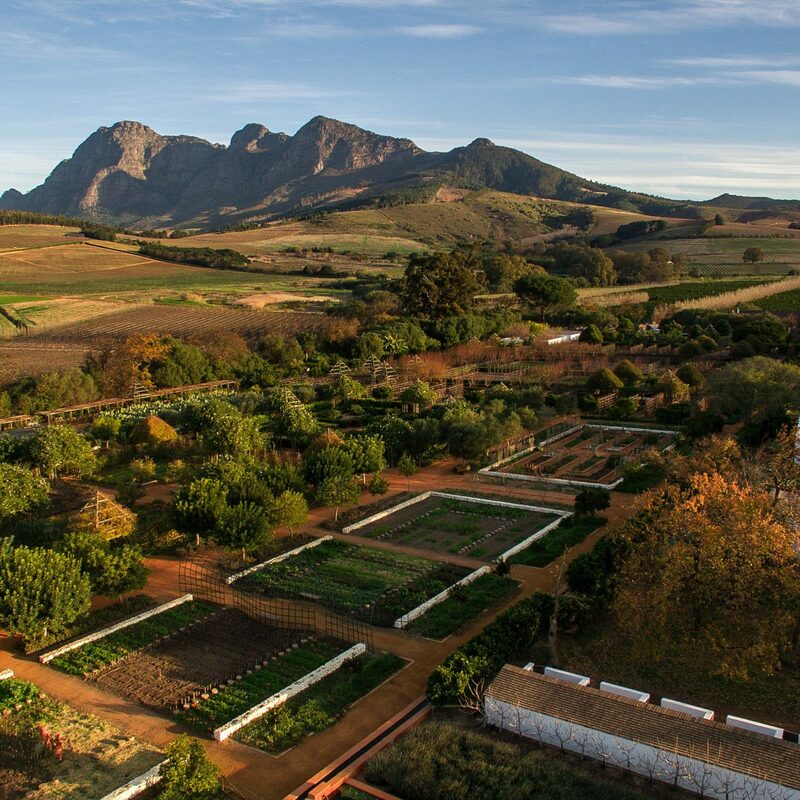 Plus, there are special events going on all the time, from trivia nights to free fitness classes. Make a reservation at the hotel below to get in on all the action, and schedule your appointment with JonBoy on the site today.